PLDT's Facebook page posted a statement of its chairman Manny Pangilinan apologizing for the fiasco. We wish to apologize to our Filipino basketball fans for the sudden and disappointing turn of events today. We ourselves are extremely disappointed by this unexpected development. All we wanted was to give our Filipino basketball fans a real treat while at the same time, through this benefit event, help our countrymen who are still recovering from Supertyphoon Yolanda and more recently Typhoon Glenda." According to PLDT Executive Vice President Ariel Fermin, ticket holders will be refunded in full in an expeditious manner. He said those seeking a refund may send their FULL NAME, TICKET NUMBER, CONTACT NUMBER, and EMAIL ADDRESS either via text to 09196140865 or email to RefundIGW@gmail.com. The hotline numbers for inquiries on the refund after the Gilas vs NBA cancellation are 836-5818, 836-5890, and 836-5819, the company announced. 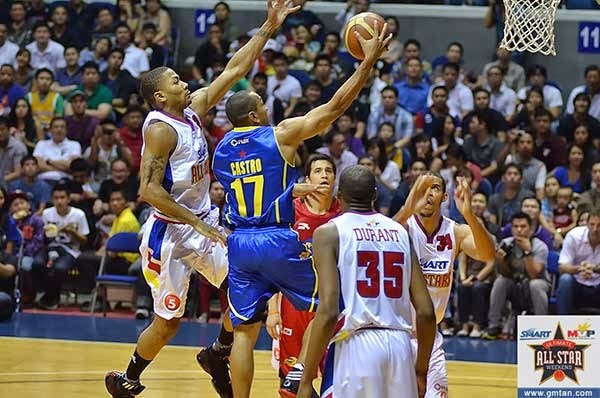 The 'Last Home Stand' charity game at the Smart Araneta Coliseum on July 22 and 23 were supposed to be a tune-up game for the Philippine national basketball team in preparation for the 2014 FIBA Basketball World Cup which will be held in Spain starting next month. Unfortunately, the NBA did not give James Harden, Nick Johnson, DeMar DeRozan, Tyson Chandler, Matt Barnes, Ed Davis, Brandon Jennings, Kyle Lowry, Damian Lillard, Terrence Ross, and NBA 2014 Finals most valuable player Kawhi Leonard the green light to take the court. Under the terms of the NBA's Collective Bargaining Agreement, players are allowed to participate in offseason basketball games or exhibitions when requirements for those events are met, including ensuring that appropriate safeguards be in place, and the promoter seeks the proper exemptions from the NBA and the player’s team. The promoter of this proposed event, East-West Private LLC, was informed of this process several months ago but did not take the required steps. Filipinos are among the most passionate basketball fans in the world and we are committed to bringing them more access to our game and supporting the ongoing Typhoon Haiyan rehabilitation efforts." Basketball fans, some of whom came from far places outside of Metro Manila, expressed dismay over the Gilas vs NBA cancellation on social media.